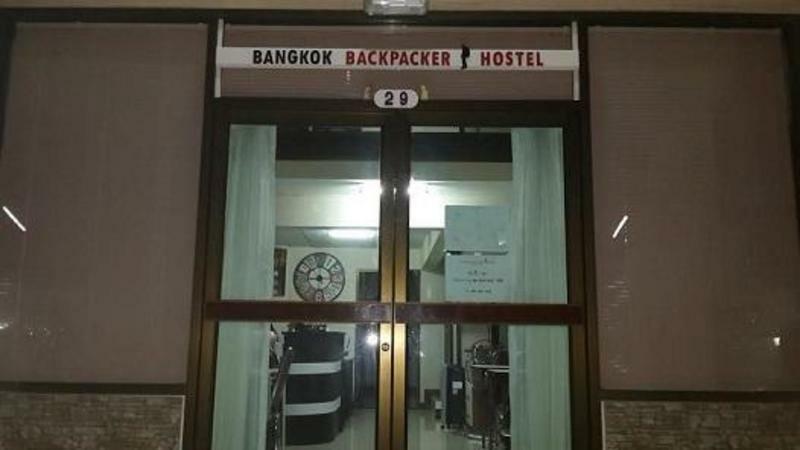 Bangkok Backpacker Hostel is located very close to Bangkok International Airport (also called 'Suvarnabhumi Airport') and really close to the airport rail link(electric train)Lat Krabang station(500 meters away from our hostel) where you can get in downtown Bangkok in 10 minutes and into the airport in 5 minutes by the airport rail link. It is also convenient to get a local transportation such as a bus and a taxi from/to our hostel. A taxi or the airport rail link takes only for 5 minutes between the airport and our hostel.Our hostel is also very close to restaurants and convenience stores like 7 eleven stores. The shopping malls/pubs/bars are around our hostel as well. From our hostel, you can take a bus or a ground train to Pattaya beach conveniently and you can take a ground train from the station close to our place(500 meters away, the same station as the airport rail link station) to the train center where you can take another train to go to anywhere in Thailand. Rom Klao Road Soi 58 is the first soi (small street) on the left when you arrive from the airport or airport rail link. This soi also has another name, 'Moo baan Rungkit Villa 9' Mu ban is a small village. The number on the place is 29, We are located in the beginning of the soi. After driving past the security check point,it is the 8th building on the left side(just about 30 meters from the security check point). The easiest way to get here is to get a taxi and give them the address. If you take a taxi from the airport,you will be charged a fee of 50 Baht on top of the meter price. You pay to the taxi driver. From the airport to our hostel, the meter price should be less than 20 Baht. If you want to save some money, you take the Airport rial link (sky electric train) to the Lat Krabang station. Airport Rial link runs between 6 in the morning to midnight. There is an express train(called 'express line') that only stops at the end station, so do not take that one. You want to take an Airport rail link train called 'city line' from the air port to Lat krabang Station( just the next station from the airport terminal station). You buy the ticket in one of the ticket machines or at one of the ticket windows just next to the entrance. Coming from the airport, Lat Krabang is the first stop. It costs 15 Baht. Coming from Phaya Thai (Downtown Bangkok terminal station), the price is 40 Baht and you get off at the station(Lat Krabang station) before the airport terminal station. Now heading for the hostel,you have 4 options. The easiest and safest way is to take a taxi. It costs less than 40 Baht. The taxi drivers can sometimes have a hard time understanding the address, so have our phone number so they can call us. If you have little luggage and want some adventure, you can take a motorcycle taxi. It costs 20 Baht. The local way is to take a so-called songtaew. This is like a pickup truck with the roof and two benches to sit on. The one you should take is painted red. You have to get past the taxis and follow the track that you have on your left, you follow the track that leads under a highway bridge and take the songtaew going right while standing with the station in the back. The price for this is 7 Baht, You pay the driver when you get off. You must signal the driver when you want to get off, there are buttons on the ceiling. Just after passing the first traffic light you can press the button. If you have a lot of luggage, it is better to take a taxi as the songtaews often are very crowded. These 3 ways of transport takes about 1 minute depending on the traffic. If you take a songtaew you sometimes have to wait before it comes, you can go by songtaew until 10pm. For those of you with a really tight budget, you want to save 7 Baht, you can take a walk. It takes about 7 minutes, but is not recommended since there is no pathway. You have to walk along very busy roads and cross some of them.